Legends from their '90s grand slam era populate the list. AAANNDD we're back picking our all-time starters for our beloved local teams! Last week, we picked out our all-time starters for Team Philippines. It caused a little ruckus around social media predominantly because of Alvin Patrimonio’s exclusion from the list, with Ranidel de Ocampo taking his place. Please note however that we based our picks solely on the players’ performances in international competition. Their achievements elsewhere, most especially their time in the professional ranks, were non-factors. With that out of the way, we're setting our sights on figuring out the best all-time starting five of one of the PBA’s most successful squads ever: Alaska, winner of 13 PBA championships. As with the previous list, the players’ stats and individual accolades as members of the team were the biggest points of consideration. Joachim “Sonny” Thoss hasn’t been with another PBA squad since he was drafted fifth overall by Alaska in 2004. In 11 seasons, he hasn't had one standout year but like an anchor, his play has been consistent and solid. After making the All-Rookie Team, the Fil-German pivot went on to become a 10-time All-Star, a two-time Mythical First Team honoree (2010 & 2011), and a Mythical second team member four times (’08, ’12, 13, ’14). “The Boss” proved that his mettle was just as big as his 6’8” build when he won the Finals MVP plum in Alaska’s 2013 Commissioner’s Cup title win. His career best averages in points and rebounds are 12.5 and 9.6, respectively. Despite a leaping ability that’s just slightly better than a 90-year old who’s carrying a backpack full of rocks, Bong Hawkins’ uncanny talent allowed him to more than hold his own against his more athletically gifted rivals. His eight seasons of unfailing productivity, both in scoring and rebounding, had us convinced that no one played the four-spot for the Milkmen/Aces better than him. While donning the red and white jersey, his lowest averages were 11.3 PPG and 5.8 RPG. At his peak, which we believe spanned from 1994 to 1998, Mr. Hawkins was scoring 15.8 points a night and was corralling 8.1 rebounds per contest. For his on-court magnificence, Bong made the Mythical First Team twice (’95-’96) and the Second Team as well in 1994 and 2000. And in 1996—his team’s Grand Slam year—Bong won the Finals MVP in the Commissioner’s Cup finals. Our all-time SF for Gatas-nation is none other than 1998 PBA MVP, Kenneth Duremdes. Because of this former Adamson Falcon, Alaska’s tyranny in the Eraserheads era didn’t end with its 1996 grand slam. In acquiring the high-flyer from Pop-Cola in 1997, the Tim Cone-led squad gained enough ammo to nab four more crowns within the next three years. In his six seasons with the Milkmen (’97-’02), Captain Marbel utilized his deadly perimeter game and a natural knack for nasty rim attacks to become the squad’s most potent scorer. His four Mythical Team nods, three straight Best Player of the Conference plaques, season MVP trophy, and two Finals MVP plums as Alaska’s go-to guy only solidify KD19’s spot on this list. In 1991, Purefoods shipped the 6'0" scoring specialist to Alaska. In his first season with the Milkmen, the 1988 PBA ROY scored 22.5 PPG as he led the Milkmen to their first-ever title in the third conference. By 1996, JoLas was still one of the most dangerous marksmen in the league. His 15.0 PPG, including cold-blooded clutch jumpers, was integral in Alaska’s grand slam run. Never averaging less than double figures, Lastimosa, helped the team win a whopping nine PBA crowns in nine seasons. The numbers he posted along with three Mythical Five inclusions and just as many Second Team appearances were indeed impressive but what made the Cagayan de Oro baller legendary was his ability to make shots during the crucial junctures of a game, thus his moniker, Mr. Fourth Quarter. The Flying A is one of the best point guards this country has ever seen. Putting him on this all-time lineup was an easy choice. In his best years with Alaska, which we deem began in his 1993 rookie season and concluded in 1997, Johnny A. averaged 15.9 PPG, 5.9 APG, 4.5 RPG, and 1.9 SPG. He was a superb do-it-all uno who owned an enviable skillset. Abarrientos was a decisive floor general, who possessed the scoring instinct of an elite shooting guard and the hustle of an all-defensive cager. 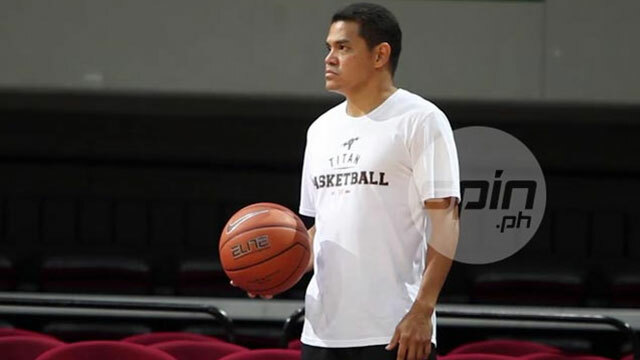 Before leaving the Uytengsu-owned outfit in 2001, the former FEU standout had a massive reaping of PBA honors such as the 1996 MVP trophy, two Finals MVP awards and six Mythical First Team medals. The 5’7” guard was a giant when he ran the unstoppable '90s Alaska machine. Abarrientos, Lastimosa, and Duremdes are all members of the PBA’s 40 Greatest Players. And with Bong Hawkins’ hall of fame-worthy numbers, topping this Alaska All-Time Five is a difficult task. But if you guys can do it, you should let us know by answering in the poll below. IN PHOTOS: Ricky Rubio's #TakeOnManila Tour!